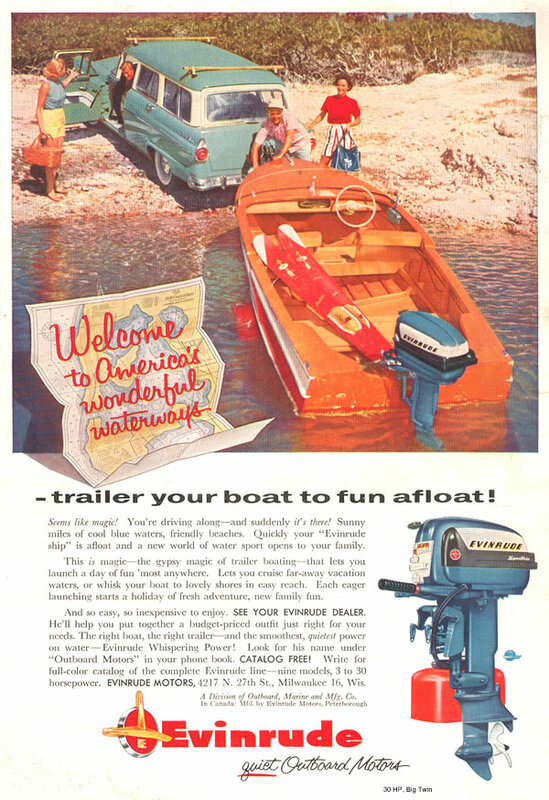 Welcome to America's wonderful waterways - trailer your boat to a fun afloat! Seems like magic! You're diving along - and suddenly it's there! Sunny miles of cool blue waters, friendly beaches. 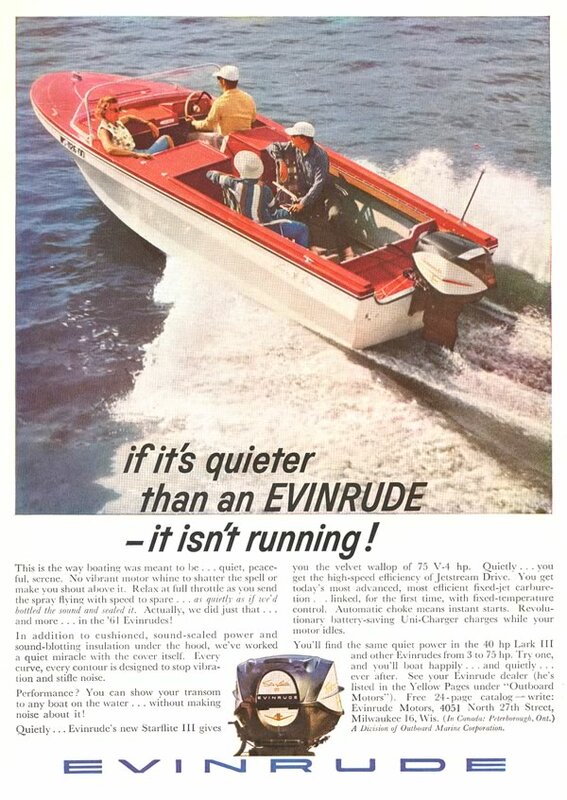 Quickly your "Evinrude ship" is afloat and a new world of water sport opens to your family. 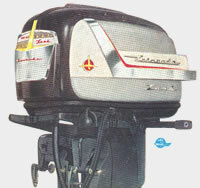 this is magic - the gypsy magic of trailer boating - that lets you launch a day of fun 'most anywhere. 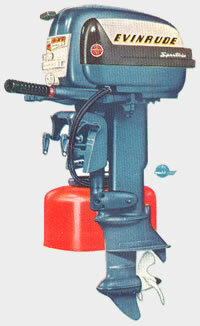 Lets you cruise far-away vacation waters, or whisk your boat to lovely shores in easy reach. Each eager launching starts a holiday of fresh adventure, new family fun. Dreamship!... the spectacular Lark "Sportster"! 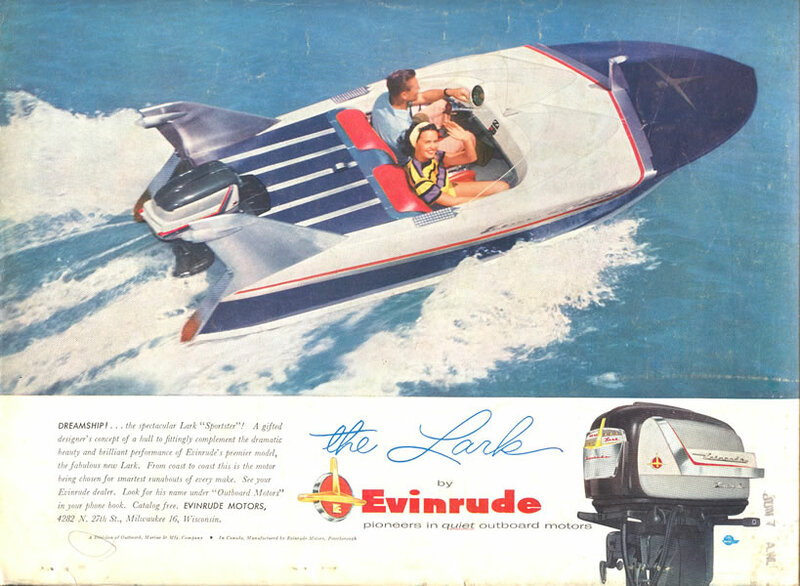 A gifted design's concept of a hull to fittingly complemented the dramatic beauty and brilliant performance of Evinrude's premier model, the fabulous new Lark. From coast to coast this is the motor being chosen for smartest runabouts of every make.